Therman "Sonny" Fisher (Nov 13, 1930 – Oct 8, 2005) was an American singer, songwriter, and guitarist born in Chandler (Texas). 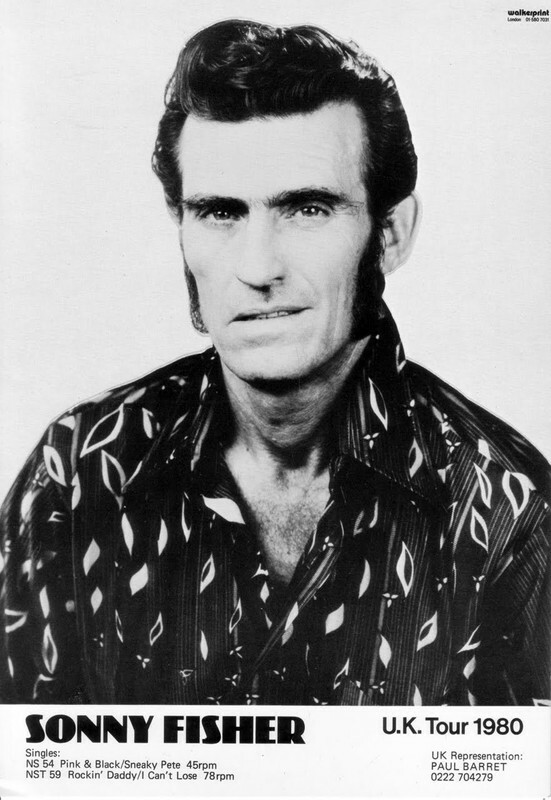 Nicknamed the "Wild Man from Texas", Fisher cut a distinctive figure with his jaw-length sideburns and raven pompadour. Born Therman Fisher on a farm in Chandler, Texas, he was nicknamed "Sonny". His date of birth is usually given as November 13, 1931. He was actually born in 1930, but his mother didn't record his birth until a year after. His father sang cowboy songs and accompanied himself on guitar; when the young Sonny heard country music on the radio, he vowed to become a musician. Subsequently, he taught himself to sing and play guitar. 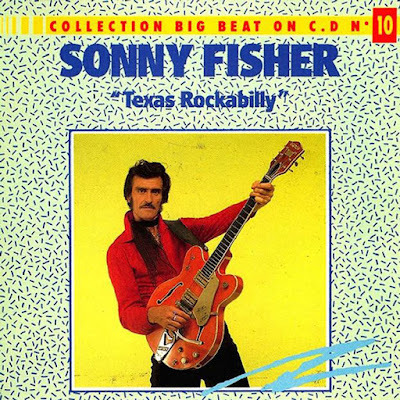 Sonny shifted with his family to California and Washington state as a youth, but returned to Texas, settling in Houston, where he put together a country music band. The band played Houston nightclubs and Sonny began paying attention to the new rhythm and blues music that youth, both black and white, were beginning to celebrate. 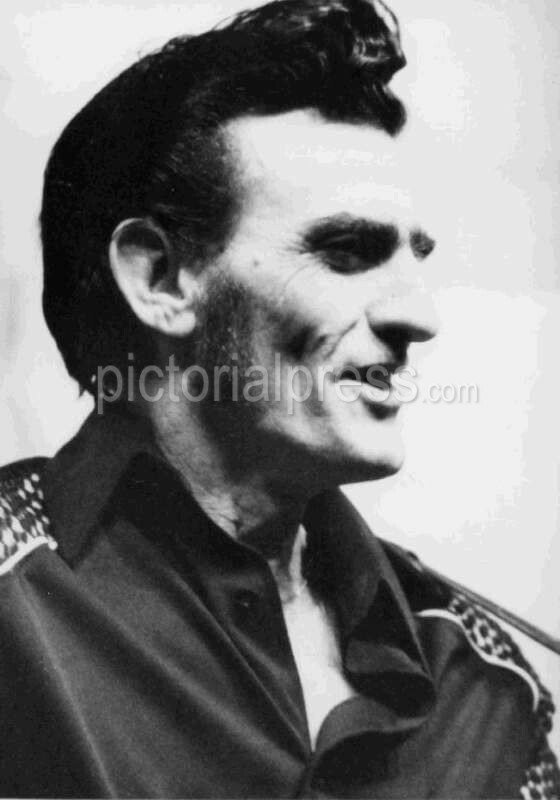 Adding the exceptionally gifted guitarist Joey Long to the band enabled Sonny to start playing a potent mix of country and blues: in a couple of year’s time this would become known internationally as rockabilly. In 1954 Sonny went to see Elvis Presley's initial Houston performances. Duly impressed, he believed his rockabilly sound could succeed. 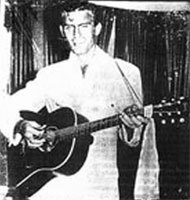 While playing the Cosy Corner nightclub in Houston, Fisher was spotted by the club's owner, Jack Starnes, who also happened to be one of the owners of Starday Records. Starday was a country music label, but Starnes, aware of Presley's success, wanted a share of the action, so signed Fisher. His first recording session took place in early January 1955 with "Rockin' Daddy," in early 1955. Though earning little notice outside the local market, the record remains a classic example of rockabilly at its most primal, galvanized by Fisher's impassioned vocal and Long's ferocious guitar soloing. "Sneaky Pete" followed in the spring, and while it too failed commercially another single, Hey Mama, was released, and Fisher's popularity in Texas continued to grow. 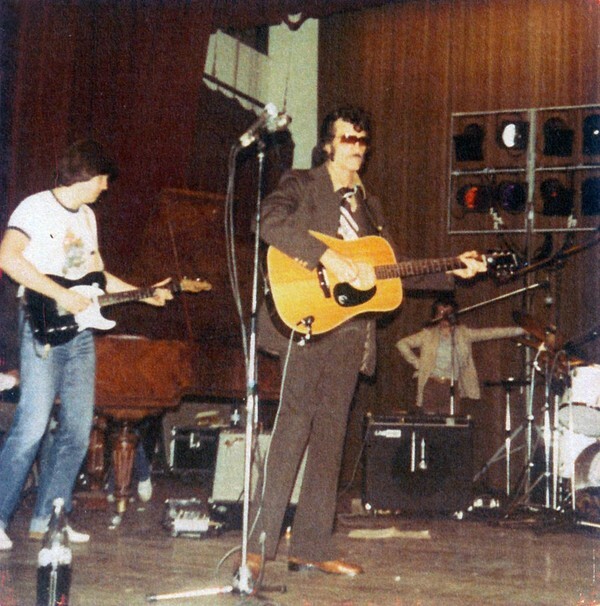 Elvis, impressed in turn by Sonny's act, borrowed Sonny's drummer to augment his band while playing at the Cosy Corner. 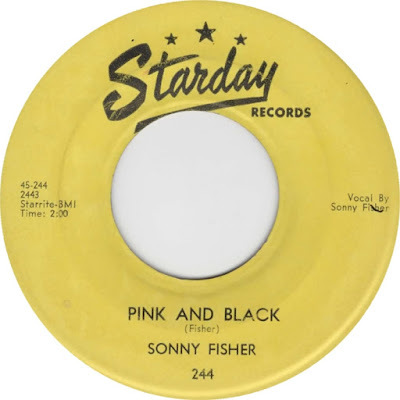 Fisher and the Rocking Boys closed out the year with "Rockin' and a-Rollin'" and in mid-1956 resurfaced with the blistering "Pink and Black." When all four singles netted Fisher a royalty check amounting to only 126 dollars, he refused to renew his Starday deal, instead co-founding Columbus Records with Newsome. Fisher produced sides for singer/guitarist Eddie Eddings and saxophonist Hub Sutter, but never recorded for Columbus himself, eventually selling his share of the company to Newsome. After the Rocking Boys split, he led his own R&B group for a time before returning to country, working the Houston nightclub circuit until 1965, when he retired to mount his own flooring business,up his own record label and publishing company proved impossible for Fisher, and his band soon fell apart. unaware that his Starday 45s were now considered by connoisseurs as classic primal rockabilly. In 1979 Fisher was brought out of retirement from working at a saw mill and after a successful French tour in October 1981, he returned to Texas and turned down subsequent requests to return to Europe. 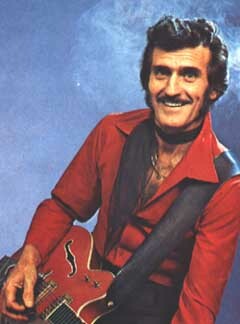 Between 1981 and 1983, Fisher played shows with Eddie Fontaine, Gene Summers, Billy Hancock and Jack Scott, and was in fine voice. Indeed, he had retained his black sideburns and quiff and all the swagger of his Fifties appearances. 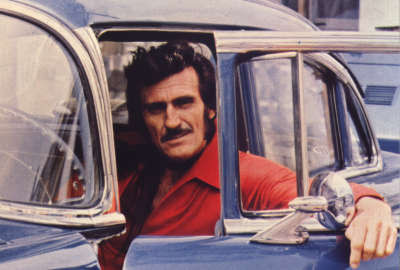 He made a trip to Spain in 1993, appearing in concerts and recording an album backed by Los Solitarios and veteran rockabilly Sleepy La Beef, but then vanished from public view again. Various concert promoters tried to reach him but all to no avail. In fact, Fisher had become so evasive that many people assumed he had died quite a few years earlier than his actual death date of October 8, 2005. He died of cancer in his hometown of Texas. A big thank you to Uncle Gil’s Rockin’ Archives for active link.